Answering the request of Indonesian fans, W Productions are proud to present the first Korean Idols Music Concert Hosted in Indonesia, or KIMCHI as we call it. This is the first event in its class to host five amazing Korean artist in one stage. We have selected the best performers for your enjoyment, ranging from boy band, girl band, to solo singer. For the main performers, we proudly present SUPER JUNIOR, the multitalented boy band that have won tons of awards and snatched tens of thousands hearts of Indonesian fans. Following in the lineup, we have one of the highly popular members of SS501, Park Jung Min, shining with his solo performance. Up next, we have The Boss, blowing the audience with their dynamic moves. We did not forget about adding feminine touch, that’s why we bring Girl’s Day, one of the best female dance-singing performers in Korea. Closing the lineup, the last but not least, we present you X-5, the new, mysterious, and fresh Korean boy band. Prepare yourself for a high octane night of Korean music concert. Brace yourself to explode with your idols and enjoy its every moments. Get ready for KIMCHI 2011. For your information, WProductions is one of the Indonesian promotors who has invited some Asian artists to Jakarta. Such as S.H.E (Taiwanese girlgroup), David Tao (male singer), RAIN (Korean male singer), Kim Sang Bum or Kim Bum (Korean actor). 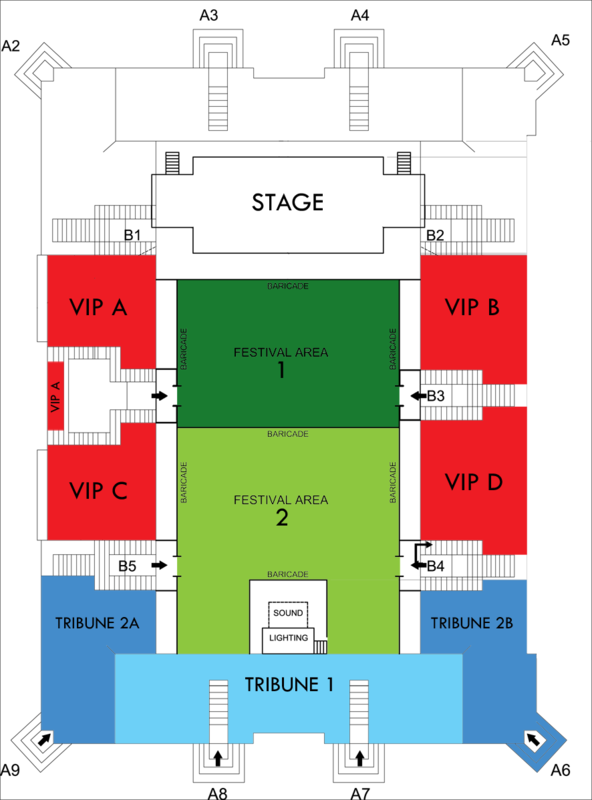 And, for info, ticket for the Tribune 2 has been SOLD OUT. For more info please check WProduction official Website. This entry was posted on May 8, 2011 by heedina. 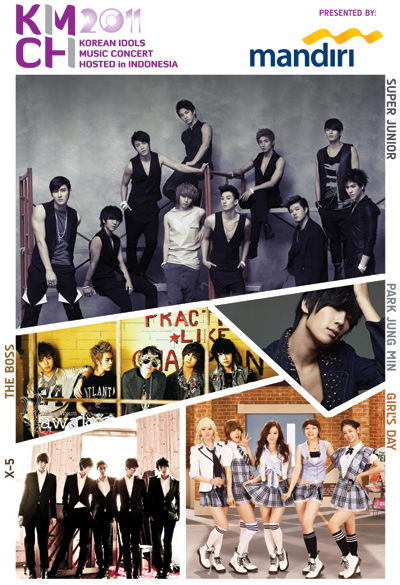 It was filed under Boy Band, Concert/Show, Girl Band, News, Solo and was tagged with Girl's Day, park jung min, SS501 Park Jungmin, Super Junior, The Boss, X-5.